Saboteur Awards 2018 – Sidekick Books nominated in two categories! It is a truth universally acknowledged that everyone hates to be hassled for online votes. Which is why we’re only going to mention this once, and then we’ll get back onto making you more weird and wonderful books about robots, bats and soforth. 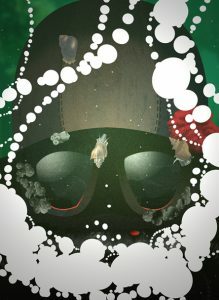 Now, a) we believe we’re pretty innovative as a press, and we are very proud of the beautiful underwater odyssey that is Aquanauts. And b) The Saboteurs are the only awards that recognise the strange literary concoctions we make. So if you like what we do, please vote for us. We would truly appreciate it. If someone else takes your fancy on the shortlist, vote with your heart. 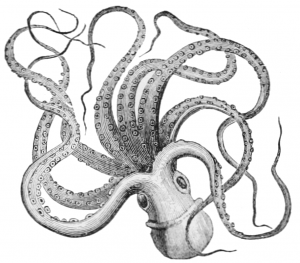 In the case of octopus fans, vote with all three of your hearts. Voting closes on 9th May 2018. That’s it. That’s as much as we’ll hassle, harangue and badger you. Thanks for reading, and thank you, as ever, for all of your support! The Saboteurs are in our midst! It’s March, and that can, frankly, mean many things. But for Sidekick Books it means something particularly important! Thank you, as ever, for your love and support. Nominate away! 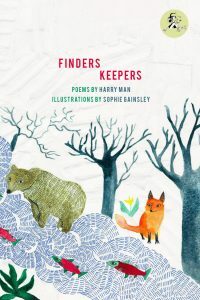 Author Kirsten IrvingPosted on March 19, 2017 March 19, 2017 Categories awards, birdbook, Finders Keepers, saboteur awards, UncategorizedLeave a comment on The Saboteurs are in our midst! Vote for Sidekick Books in this year’s Saboteur Awards! 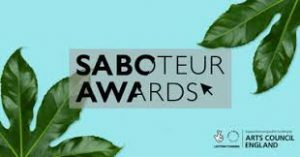 The Saboteur Awards are now open for nominations! Since the vast majority of poetry prizes in the UK focus almost exclusively on single-author collections, the Saboteur Awards are Sidekick’s only real chance to win garlands for our amazing poets, artists and contributors. The shortlist and subsequent winners are decided by popular vote, and it’s therefore very important that readers and fans of our books take part in the voting process if we’re to stand a chance. With that in mind, we humbly request your support! The nominations round is open until 24th April, and involves filling out at least three categories on the form on this page. We’d really like you to put us down for this! No other publisher that we’re aware of is mixing together different media and experimenting so freely with the possible forms of the poetry anthology and pamphlet. We have two eligible titles for this category: Hell Creek Anthology by J.T. Welsch and Dom & Ink, which is an illustrated retelling of the Spoon River Anthology with dinosaurs from Montana. And Surveyors’ Riddles by Alistair Noon and Giles Goodland, in which the two poets trade poems reactively and spontaneously, generating a sprawling mixture of alt-history, satire and prophetic puzzles. We have two titles eligible for this category: Over The Line: An Introduction to Poetry Comics, edited by Chrissy Williams and Tom Humberstone, which is the UK’s first anthology of poetry comics and which comes endorsed by both Alan Moore and Poetry London. 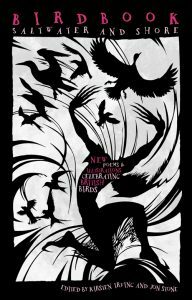 And Birdbook: Farmland, Heathland, Mountain, Moorland, which is our third mega-collection of contemporary bird poems and illustrations, with poems by, among others, David Morley, who has just won the Ted Hughes Award, and Chris Beckett, who was nominated for the same award. Feel free to fill out the other categories in whatever fashion suits you. Thanks in advance for your support and your time, everyone! Author Jon StonePosted on April 1, 2016 October 11, 2016 Categories birdbook, hell creek anthology, Over The Line, sabotage reviews, saboteur awards, Surveyors' RiddlesLeave a comment on Vote for Sidekick Books in this year’s Saboteur Awards!